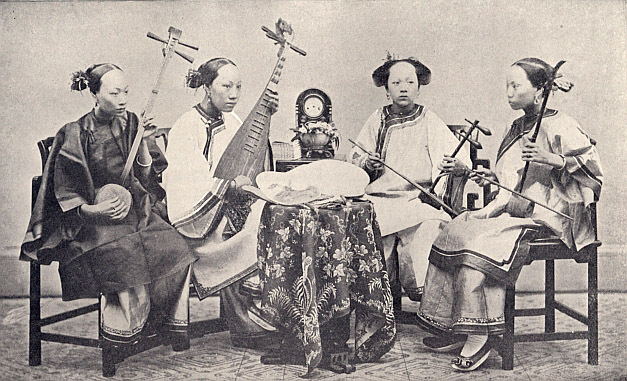 L to R: Sanxian, Pipa, Jinghu, Erhu. 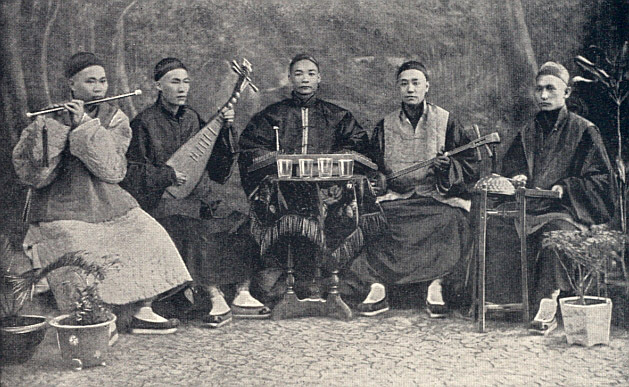 L to R: Flute, Pipa, Yanqin, Sanxian, Percussion. Both pictures are from the book John L. Stoddard’s Lectures, volume 3, copyright 1897. They were also published as postcards around the turn of the century during the “exotica postcard” era.